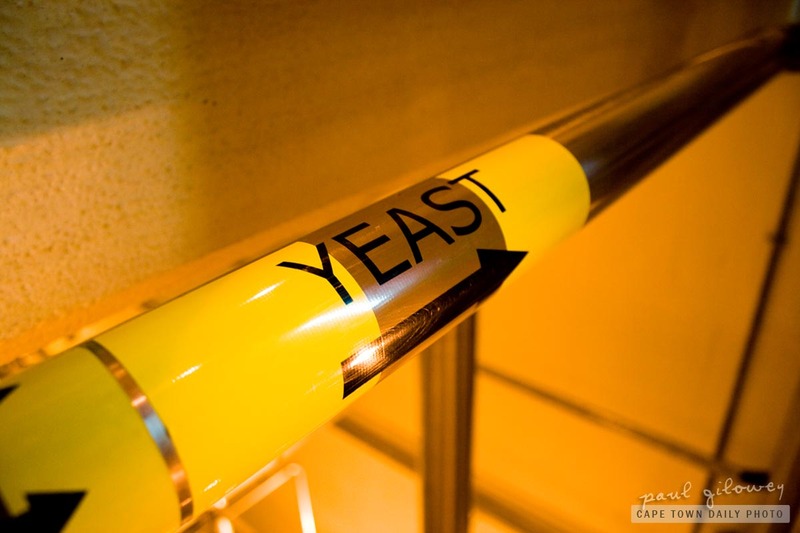 Yeast as an ingredient, piped in bulk – got to be the SA Brewery in Newlands? Well… yeast is a very modern invention. The precursor – sourdough is a natural leavening agent created by mixing wheat flour with water and leaving it for a few days for natural yeast cells in the air to ‘infest’ the flour & water mix. The legend goes that some baker in ancient times forgot his plain dough mix outside overnight. The next morning when he wanted to bake his usual flat bread, the dough left outside doubled in volume. The rest is history… Google San Fransico sourdough. So then, I wonder who the bloke was that thought of cultivating yeast and selling it in a powdered form that could be added to fresh dough. On another few notes – you have an interesting blog. I’m guessing you’re happy with yourself for bringing the rain on? ;) And oh, Amatomu – I think you’ll find it took a dive when Matthew Buckland and co left M&G (#opinion). And, finally, Baconaise – that’s so wrong – I’m going to have to run out now and buy a jar! Love the line “Everything should taste like bacon”. Thanks Paul – beautiful pics on this blog! Can’t remember the story about commercial yeast, I think there is a connection between beer brewing and commercial yeast – I’ll look it up sometime again if I remember.